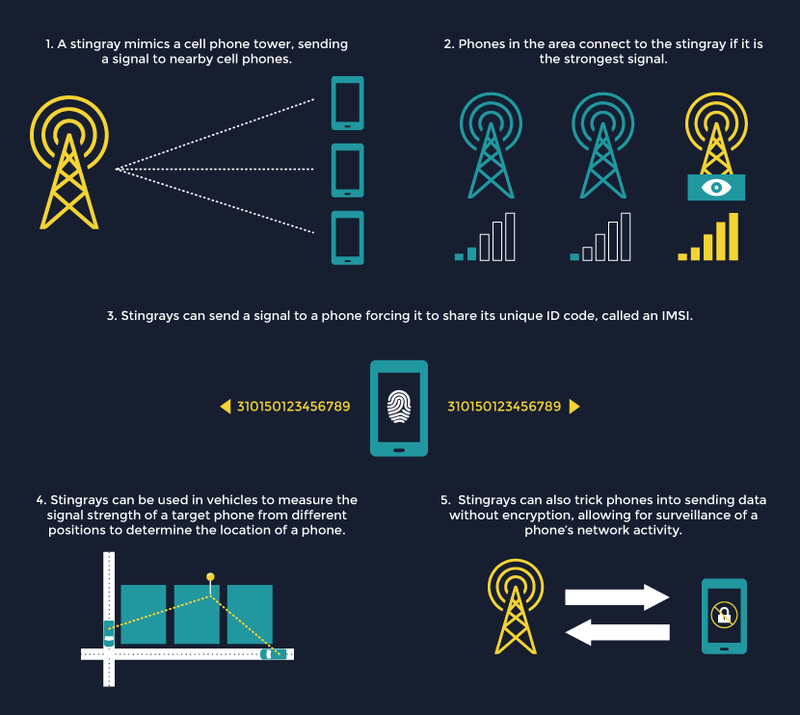 Privacy For Cops | Privacy Protection for those who protect us! We lock our phones so that other people can’t access what is on them. 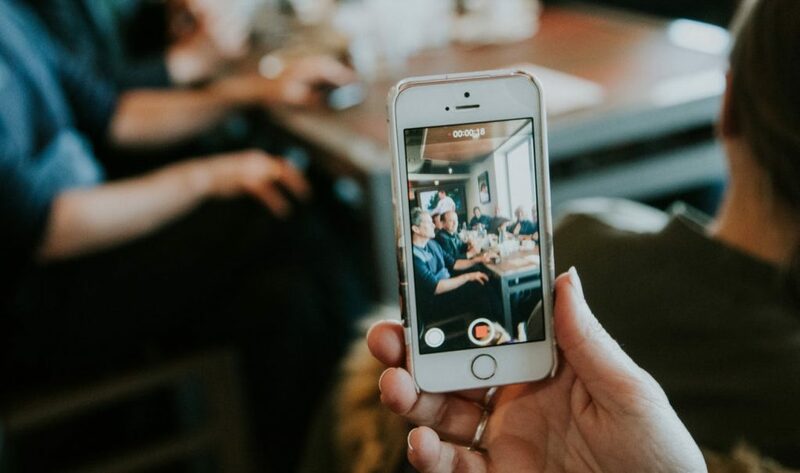 We have personal contact information on our cell phones, pass codes, photos, even bank cards are kept on our phones — along with access to apps that provide a lot of information about where we shop, where we bank, and who our favorite people are in the world. And while it might sound a bit shocking to think that police officers can force you to unlock your cell phone by using Face ID or Touch ID, just picture a criminal who has been arrested and could have photos on their device that would lead them to a missing child, or a weapon that was used in a shooting that could lead to an arrest, or a person’s of interest who was involved in a crime that took place. It could prove beneficial in these types of circumstances. So, if the police need to access data on a cell phone from a person who has been arrested, can they force them to unlock their phone? The short answer is yes. However, it does raise privacy concerns. And it isn’t that clear cut, because the big picture is that a police officer must get a search warrant first, so there is an added layer of protection thanks to the Supreme Court. Innocent until proven guilty right? Forcing someone to give up a passcode or unlock their cell phone would force them to give up their constitutional rights and actually violates the Fifth Amendment right against self-incrimination, which as a reminder states that no one shall be compelled in any criminal case to be a witness against themselves. It seems that there is still a long way to go before an agreement is made. And there are many varying legal opinions out there about what to do. You might be better off just using a passcode rather than a fingerprint or face recognition to unlock your cell phone until a definitive court decision is made. Driving behind the wheel can be somewhat stressful. And while we feel somewhat protected in our cars, the space is only a small barrier to the outside world. We can’t predict how other drivers are going to react in certain situations and driving can be one of the most dangerous things we do all day. 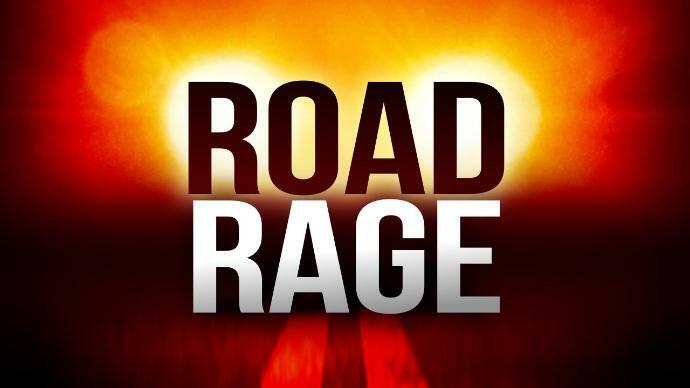 Police are seeing a rise in road rage incidents. And according to the U.S. Federal Department of Transportation, road rage fatalities has jumped dramatically. From 110 in 2007, to 487 in 2017. That’s an increase of 350%! But there are a number of ways you can deescalate a situation and avoid road rage. • Be in the proper state of mind BEFORE you get in the car. Relax, start calm, and try not to be in a rush. • Speeding isn’t always going to get you to your location sooner. Your location is going to be there no matter when you get there, so remind yourself that it’s okay to be late. Better to be safe than put your life at risk just to shave a few minutes off your trip. • Aggressive drivers exist! If they are riding your tail, pull over and let them pass. Don’t engage and play their game by slowing down or stepping on your brakes to try and get them off you. That might only infuriate them and cause more aggression. • If someone rolls down their window and starts yelling at you, ignore them. Look straight ahead, roll up your window, lock your door and keep driving. • If you get worked up, take some deep breaths and count backwards from 20. It lowers your heart rate and allows your body to relax so you can stay calm behind the wheel. Lastly, if an enraged driver follows you, don’t get out of your car. Try to get to a public space with other people, preferably a police department or call 911. And using your horn is almost always an instant agitator, so remember to use it. Drones are the latest craze, and it seems like everyone is using them for fun, for the news, for security, and many other reasons. Soon they will be delivering products to our doors including fresh hot pizzas, fried chicken, clothes, and much more. But what if the drone is being operated by “undesirable” hands? It’s late fall, and the local high school championship is underway. The stadium is packed; you are stationed on the sidelines. The sound of a drone fills your ears, and you look up to see one spraying the crowd with some kind of liquid. They start to panic and run, rubbing their eyes, and trying to get away. It sounds a bit far-fetched, doesn’t it? 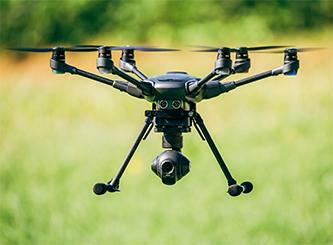 The reality is that drones are already being weaponized in other countries. • US forces reviewed video footage taken by a captured drone that showed it to be armed with bombs that could be dropped on US positions virtually undetected until it was too late. In this particular case, the noise made by the drone gave the soldiers time to shoot it down before it could do its job. • Venezuelan President Nicolas Maduro was the victim of an attempted bomb attack by two drones carrying explosives. One hit a building and exploded before it could reach its target, the other got close before detonating. • Evidence continues to come in that ISIS is finding new ways to weaponize commercial drones for use in terror attacks around the world. You might think this would give law enforcement officers the right to disable a suspicious drone using technology or other means. To be sure under the National Defense Authorization Act of 2017/2018 the DOD and DOE have the right to ” detect, monitor, and track” and “disrupt control of, destroy, damage, disable, and seize (using reasonable force of course) drones flying over specific facilities. Yet as an LEO, you are still unable to legally do anything that might cause damage to or loss of control of any drone, no matter how threatening it might appear. One of the biggest concerns cited for making this decision is the safety of the general public should you “shoot” down or otherwise disable a drone. Also, because under 49 USC § 40102, drones are considered as and given the same protections as any other type of aircraft. Thus, the shooting down of a drone would be considered aircraft piracy and thus lead to criminal prosecution as such resulting in a prison term of up to 20 years. If the drone is damaged or destroyed, further prosecution for aircraft sabotage under 18 USC § 32 would only add to the sentence. Even under the scenario, we started with; you are prevented by law from interfering in the operation of the drone. Your only option is to attempt to find the operator of the drone, arrest them, and then shut the drone down. Even if the drone does not appear to be dangerous, you should still monitor it and if you can find the operator, discuss drone safety with them. One last thing to consider, you are permitted to meet a threat with the necessary level of force, but you may have to answer questions later. It seems there have been more and more accidents lately involving Police Officers and their motorcycles. On February 20, 2019, a motorcycle police officer was injured in a collision with a passenger vehicle in Santa Barbara, California. The officer was knocked to the pavement and transported to a nearby hospital with moderate injuries. The Officer was doing traffic enforcement in the area at the time of the collision and thankfully is expected to fully recover. What is causing motorcycle accidents? Speed might have been a factor. Location might have been a factor. Weather might have been a factor. Alcohol/drug impairment might have been a factor. Negligence of the rider might have been a factor. And human distractions from other motorists might have been a factor. 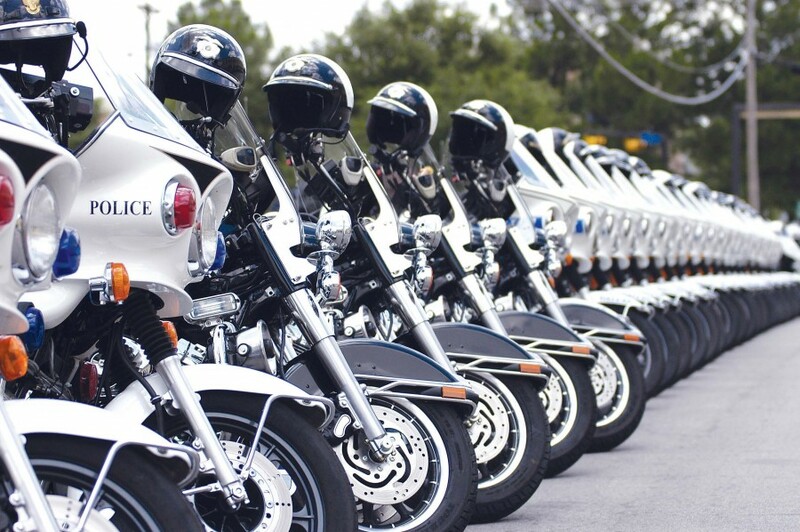 Whatever the reasons are, motorcycle safety for law enforcement officers cannot be taken lightly. In December 2018, the Associated Press reported that 144 federal, state, and local officers died last year. That figure represents roughly a 12 percent increase from the 129 who died in 2017. The sad part is that the most common cause of death was gunfire and vehicular accidents (specifically, car or motorcycle crashes). It’s not required in all states, but these types of classes will teach you about traffic safety laws that apply to motorcyclists. They also teach you how to respond to an emergency while on a motorcycle, and give you a chance to try out your new skills in a controlled environment. In addition to wearing the right kind of helmet, leather or armored motorcycle gear, such as vented motorcycle jackets are a life saver. Leather is strong enough to protect your skin from rocks, bugs, and cigarettes while riding at all types of speeds. Just as you would stay hyper aware while working on patrol, you need to remain vigilant while you are riding your motorcycle. Your bike is harder for other drivers to see, especially at night. And those large SUVs and trucks will have a hard time spotting you on the road. So, don’t wear headphones and make sure you put your phone away. Also, don’t take your hands off the handlebars. It lessens control of the bike. Apple recently released a fix for the major iPhone Facetime bug that allowed others to eavesdrop on conversations—even if they never answered the call. How Was the Bug Discovered? The bug went viral about a week ago and was all over the news channels and social media. A 14-year-old boy, Grant Thompson, discovered the flaw while he was facetiming with a group of his friends. From a law enforcement perspective, this raises privacy and security concerns, because this glitch could have put many lives at risk. Can you imagine if a criminal or hacker used this feature to gain high-level remote access to the conversations of a police officer or staff member? And then used that information to get access to the Officer, their family members, or co-workers. It’s frightening reality and a wake up call for all of us. It is a scary thought to think of cyber-criminals spying on devices that belong to police officers or federal agents, capturing the audio and video of the Officer before they answer the phone. They could even capture the location of the Officer without their knowledge or even if they never answer the phone. If you haven’t already done so, the best thing to do is to quickly update your iPhone to avoid any future safety issues. Thank goodness the bug was caught, reported, and fixed! We wouldn’t want anyone listening in on our private conversations or putting our law enforcement officer’s safety at risk. Privacy for Cops congratulates all the Federal employees on the ending of the record-long shutdown! 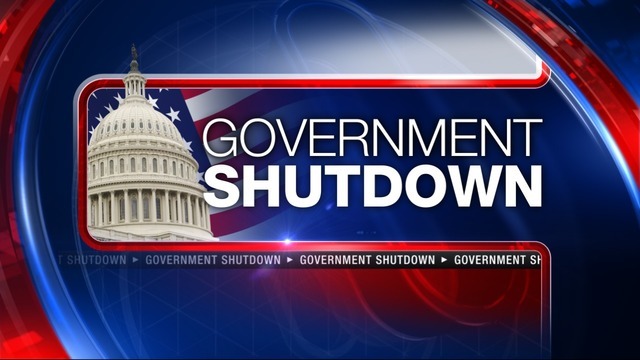 On January 12, 2019, it officially became the longest shutdown in government history with a record 35-day shutdown. According to the Associated Press, some 800,000 federal workers have had to work without pay or have been kept from doing their jobs as Trump and congressional Democrats were locked in an impasse over the billions of dollars that Trump has demanded to build a border wall. Required to report to work and risk their lives without pay, federal agents such as FBI, TIGTA, U.S. Customs and Border Protection agents are authorized and required to conduct official business during a government shutdown. Some of the nation’s busies airports had TSA agents not reporting to work and calling in sick. Although they were required to report to work, they were not being paid so many of them refused to cooperate. These types of excessive absences pose a major security issue. A government shutdown causes low morale for those who are still required to report to work and affects many different departments. Let’s hope the government stays open so that families no longer have to suffer the financial burden so many have had to bear. It’s a sad fact that in our nation virtually every school from elementary all the way through college must now have at least one SRO (School Resource Officer) on duty at all times. These SROs are on-duty police officers who like any other have sworn to serve and protect. In most states, they are not employed by the school or the school board. Yet it seems that despite this fact an SRO with the Warren, OH police department was escorted from the elementary school in which he was working. When you get right down to it, all law enforcement officers are sworn to uphold the law period. No one is above the law, not the officer, not the principal, no one. It is apparent that the officer went above and beyond his duty by taking the time to issue a number of warnings before issuing the citation. 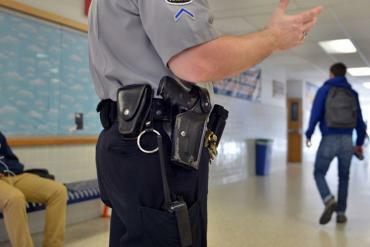 At issue, the idea that a school principal feels first that he has the authority to order a law enforcement officer from a public school, second that business manager and head of security went along with it, and third that the same principal feels that he has the authority to park in an accessible parking space. The other issue here is that our educators are supposed to be teaching our children to respect the law. However, when a school principal tries to set himself above the law, it shows our children that it is okay to break the law. The story needs to be followed to see whether or not the Chinchic’s commanders will back him up and whether or not the principal will be made to pay the citation. Until recently it seemed as though few took much notice when a K-9 officer was killed in the line of duty beyond his handler and those in the department he served in. 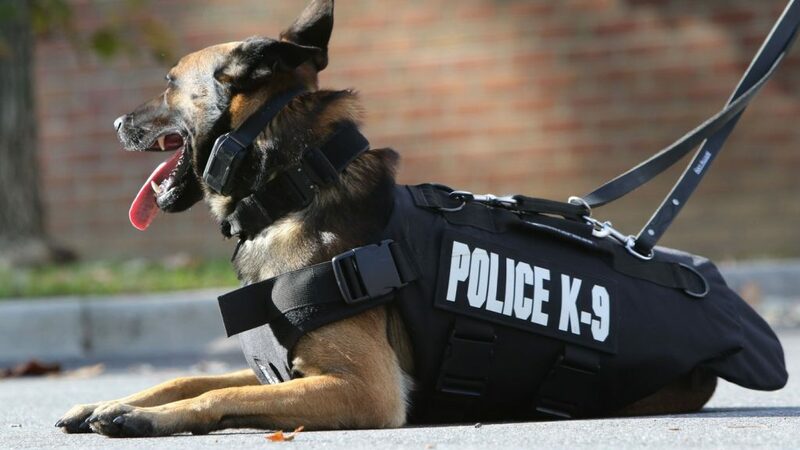 Yet, police dogs go through rigorous training that takes months to complete; they are completely bonded to their human officers and often become a part of that officer’s family. The job of a police dog is not an easy one, they are often the first one in the line of fire and put themselves unafraid into some of the most dangerous positions imaginable. Positions that a human officer either can’t get into, such as in a crawlspace or cannot reach in time to make a difference. In many instances, the police dog saves the day by taking out the perpetrator before they can harm the officer or anyone else. Bottom line, in many cases the presence of a K-9 can defuse a situation long before it escalates to the point of violence and the potential for someone ends up getting killed. But What Happens if the K-9 Is Injured or Killed? Herein lies the problem, far too many people still see dogs as nothing more than animals that deserve little to no respect. To see this, all you have to do is look at the number of abandoned and abused dogs at the shelters across the nation. So, when a K-9 officer is injured or killed in the line of duty, the penalties in most states have been minor at best. But the deaths and injuries to K-9 officers are a fact of life, for example in California 2017, ten K-9 officers were killed in the line of duty. At the moment, injuring or killing a K-9 officer in most states in a misdemeanor that typically results in a fine and a few years in prison. Seems like nothing more than a slap on the wrist for killing what is in all essence a police officer, yet this is exactly where things are at across the country. In California, Fresno Assemblyman and former Mayor of Fresno Jim Patterson (R-Fresno) is one of the co-sponsors of the “Police Dog Protection Act of 2018.” The bill aims to raise the crime of injuring or killing a K-9 officer from a misdemeanor much like a parking ticket to a felony. The same thing is happening in Florida where a bill is being introduced that would raise the punishment for killing a police dog to a felony that carries a 5-7-year stint in prison. These are just two states’ attempts to elevate the crime of killing a K-9 officer to felony level. Connecticut has a bill going through the Senate that will impose a fine of up to $10,000 and ten years in prison. Even the feds are getting involved with new laws being considered on a federal level. It’s long past time that K-9 officers received the recognition they deserve and that those who would do them harm receive the punishment they deserve.